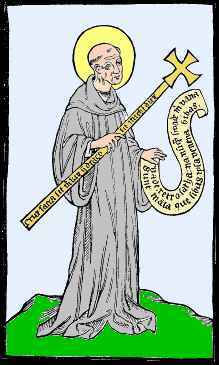 15th century image of St. Benedict of Nursia. Courtesy WIkipedia. An isolated reader of Scripture is as dangerous as a self-taught surgeon. One of the presenting conceits of contemporary Christianity is that the isolated interpreter has become normative. Few things are deadlier to Christian truth than exegesis stifled by personal idolatries and hidden prejudices. Princeton Seminary’s C. Clifton Black suggests, as a cure to such (mis)reading, bringing the saints alongside us as we explore “the strange new world” we call Scripture. He takes a cue from Benedictine spirituality and encourages reading the Bible with both hospitality (welcoming strangers) and humility. The world has seen enough of proud, isolated, and eccentric readings of the Bible. What is needed today, for the renewal of the Church and her witness, is followers of Jesus who are able to read the holy writ well. A humble and hospitable approach to the sacra pagina holds great promise, for personal study and discipleship but especially for community worship, witness, and discernment. After all, the Bible is the book of the church, and reading it wisely means reading in a way that does not create a scandal or shipwreck with our neighbors in the Body of Christ. Benedictine vespers, from a monastery in New Jersey. Photo Credit: John Stephen Dwyer. Humility and hospitality don’t cover everything, but I believe they would certainly go a long way towards renewing our encounter with the God’s word, which is, “living, active, and sharper than any two-edged sword. It penetrates to the point that it separates the soul from the spirit and the joints from the marrow. It’s able to judge the heart’s thoughts and intentions.” (Hebrews 4:12, CEB) Such a gift from the Triune God’s treasury will not be opened to hearts ill-disposed to the humility and hospitality which mark a disciple of Jesus Christ, the incarnate Word from all virtue and wisdom flows. What do you think? What other virtues are needed to read the Bible well? Are there downsides to these? Source: Black, C. Clifton, Reading Scripture With the Saints (Eugene: Cascade Books 2014). 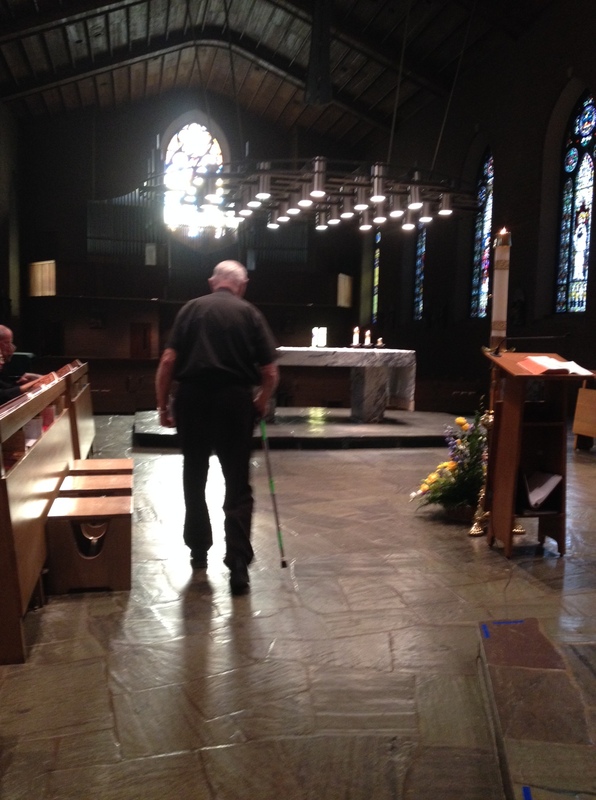 An elderly monk-priest enters the sanctuary to prepare for one of the many prayer services of the day. Personal photo. I spent last week at Belmont Abbey outside of Charlotte, N.C. I was warmly treated by the Benedictine brothers who live and work at the Abbey, which is on the campus of a small Catholic college. While the purpose of the week was to study and plan sermons for the upcoming year, I also enjoyed the rich prayer and worship practices of the Benedictine life and learned much during my all-too-brief time with the community. Here are a few of my takeaways from the week, along with some pertinent reflections from Benedict himself. I would be interested to hear your own experiences with monastic and/or retreat communities as well, and discover what insights others have gained in such contexts. 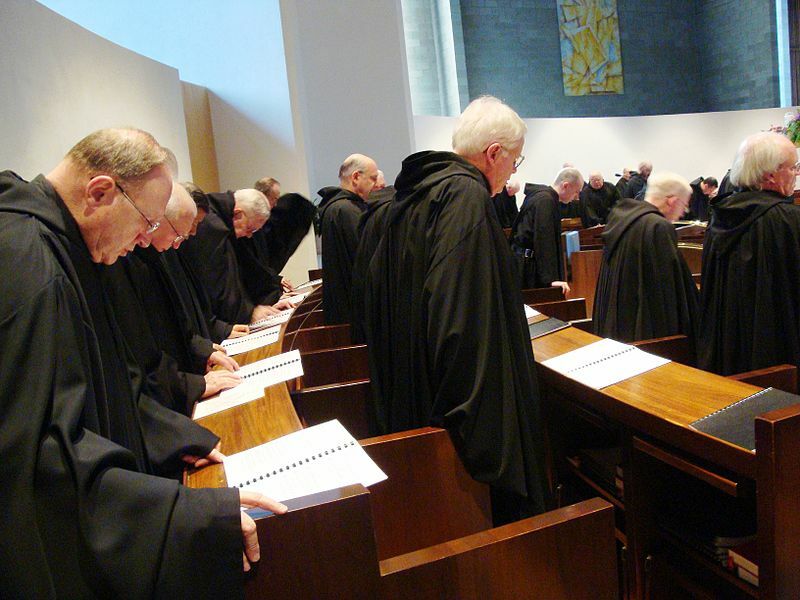 Monastic life is built on the principle that the Christian life is a community experience. 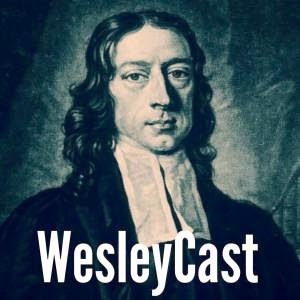 As John Wesley – sometimes compared to Benedict – said, “The Bible knows nothing of solitary religion.” In their daily prayers, the monks remembered their brothers who had most recently died. Portraits of deceased Abbots (leaders of monastic communities) adorned the hallways. They know that a personal search for the face of God is inextricable from a community dedicated to the same. After all, these dedicated men possess a timeless social network; not one built on clicks, pixels, and limited to 140 characters at a go, but flesh-and-blood brotherhood established by a communal effort at what Eugene Peterson calls “a long obedience in the same direction” over time. Last week I had to face, once more, that I can be a rather petty creature. I suspect I am not alone. That tells me that we shouldn’t be too triumphalist about community, because human sinfulness affects even the most well-intentioned persons and reaches into the holiest places. Community – any community, religious in orientation or not – is a challenge because it is always made up of flawed creatures. I especially appreciated the gifts of hospitality shared by the Guest Master, Br. Edward, and his assistant, Br. Emmanuel. They were exceptional hosts, doing everything from eating with me, to making sure I knew how to follow along in the worship services, to simply making me feel welcome. As I prepared to leave, Br. Edward took me in the chapel to offer a prayer for me. He then told me how blessed they were to welcome me, and how much he loved his role in the monastery because, “God has brought you to us, and now, after you leave, I get to welcome two more Christs today.” He is so shaped by the gospel call to see Christ in the stranger, that he refers to the guests in his charge as “Christs.” What a humbling gift, and a saintly heart. a school for the service of the Lord. In founding it we hope to introduce nothing harsh or burdensome. Obedience and true freedom, order and charity, ultimately hang together. Every healthy organism – and a community is an organism – has boundaries. Though asserting such an interrelationship is anathema to the cult of “authenticity” and “self-actualization,” it is nevertheless true. Obedience without grace devolves to legalism, and love without some sense of order will self-destruct under the weight of its own incoherence. Continuing in the theme of “things the 21st century has forgotten,” I will end with some thoughts on silence. The Benedictines with whom I shared this week cherish the power of silence. 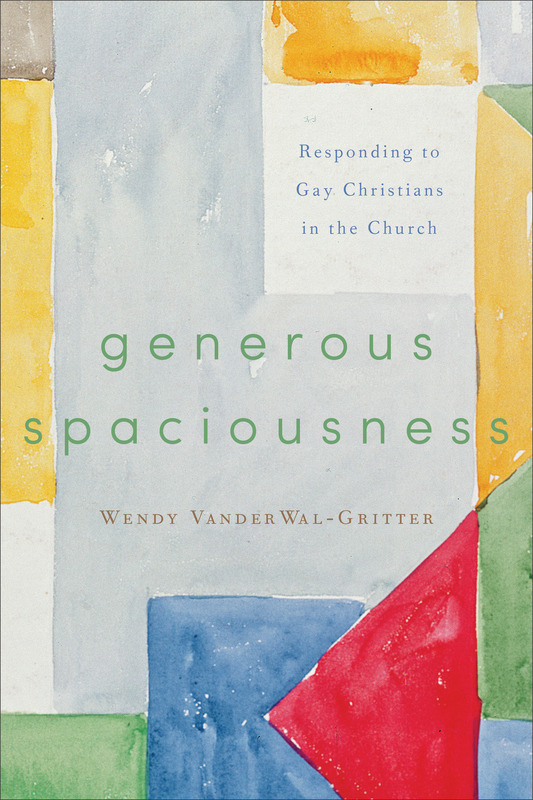 They know that cultivating the Spirit of charity requires space to listen, pray, and reflect. This community kept silence from after dinner though lauds (the 2nd prayer service of the day, following vigils and breakfast). The worship services themselves contain intentional silences, as well. I confess am too often fearful of silence; I love “background” noise, whether from CNN, or Pandora, or some other source of distraction. My week with the brothers helped me better appreciate how impoverished this cacophonous existence of ours – so full as it is of iPhones, tablets, and Beats headphones – really is. After all, sometimes God is in the silence (1 Kings 19:11-12). This experience was a great blessing, both in terms of my vocation (I had a truly fruitful week) and my own spiritual walk. I will certainly return to be among these simple, devoted men again. They have much to teach the Body of Christ and, indeed, the whole human community.